Peppers come in all sizes and shapes. Bell peppers range from yellow to black to purple. There are hundreds of varieties of hot peppers to choose from. With a wide array to choose from, there is much you can do with peppers to make your food even more delicious. 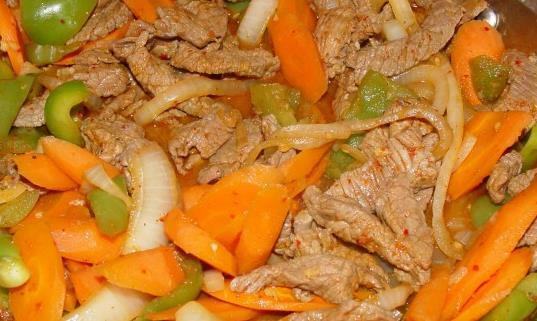 They can be eaten grilled, raw, boiled, stuffed, steamed or even cooked together with your favorite stir fry. NO, they are good for your body actually. Peppers are not only delicious and healthy, they also add color and flavor to your food. All kinds of peppers are rich in minerals and vitamins. Red bell pepper is one of the richest sources of vitamin C with a medium sized pepper containing 169% of the RDA for vitamin C. Vitamin B6 which helps with the formation of red blood cells and vitamin K1 that helps with bone health and blood clotting are also found in bell peppers. 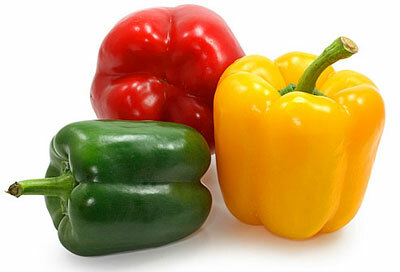 Other vitamins found in bell peppers include vitamins B9, E and A. They have few calories and are therefore good for people who care about not gaining weight. Another reason of why eating peppers is really good for you is they can help prevent some diseases such as heart disease and prostate cancer. Red peppers are excellent for people who want to lose weight without compromising on their nutrition. A medium bell pepper provides 2.5 grams of fiber, 1.18 grams of protein, 5 grams of sugar and 37 calories only. 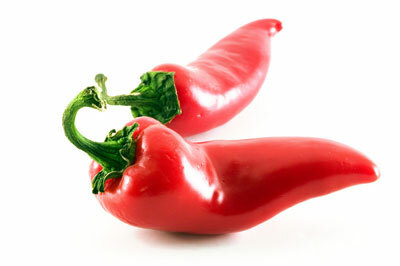 Red peppers give flavor to a variety of foods without adding lots of fat, cholesterol and calories. You could include them in your salad, sautéed vegetables or omelet. So is pepper bad for you? Not really. Concentrated amounts of zeaxanthin and lutein are found in the eyes. These carotenoids are found in fruits and vegetables and are important for eye health. They help protect the area near the center of the retina called the macula from damage caused by light. They dye the macula yellow reducing the risk of macula-degeneration due to aging. The yellow-colored macula acts like natural sunglasses for the eyes. Lycopene is the pigment responsible for the color in red bell peppers. It is a powerful antioxidant that helps guard your cells from oxidative stress. Eating foods rich in lycopene has also been associated with prevention of heart disease and prostate cancer. Bell peppers release more lycopene when cooked. Just cook them lightly in canola or olive oil. Traditionally, hot spices have been used to stimulate digestion and cure digestion-related problems. A study was done to establish the effect of capsaicin on antioxidant enzyme activity in the digestive system. The results showed that capsaicin improved the function of these enzymes, meaning that it can protect the intestines and stomach and help with digestion. Is pepper bad for you? No, since hot peppers regulate cholesterol levels in turn improving your heart and circulatory health. A recent study showed that capsaicin is able to reduce cholesterol levels in lipoprotein profiles of hamsters that were put on a high cholesterol diet. Capsaicin helped with elimination of excess cholesterol from the body by decreasing cholesterol absorption. This shows that hot peppers could help you keep your cholesterol levels within a healthy range. Note that, with all the benefits peppers have, capsaicin can also be a very potent irritant. It can damage the stomach lining causing stomach ulcers, gastritis or even colitis. You may enjoy the burning sensation caused by spicy food but remember that spicy food can cause reflux disease or heartburn due to its irritant and acidic properties. Therefore, it's best to eat peppers in moderation. Put the first six ingredients in a saucepan. When they start boiling, lower the heat and simmer for 20 minutes. Meanwhile, prepare coarse crumbs from the bread by pulsing it 10 times in a food processor. Combine the beef, breadcrumbs and the next six ingredients in a big bowl. Shape the mixture into 36 meat balls measuring one inch in diameter. Put oil in a non stick skillet over medium heat. Place the meatballs in the oil and cook for ten minutes until brown on all sides. Put ¼ cup of water and flour in a bowl stirring with a whisk. 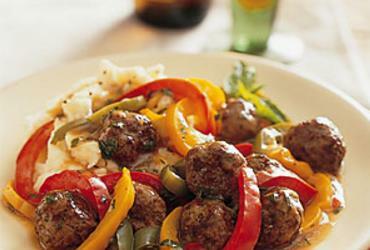 Add the mixture to the bell pepper and meatballs and cook for three minutes. Remove the bay leaf, add vinegar and basil and continue stirring consistently. Put all the ingredients in a frying pan (no oil), and then cover and cook on medium heat. You can stir occasionally, and add your green peppers a bit later if you prefer them crispier. If you like, you can serve it with rice or as fajita. Why Do Bananas Hurt My Stomach?